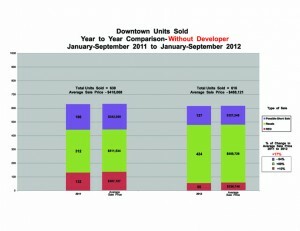 Where is the real estate market going in the Downtown San Diego market place? 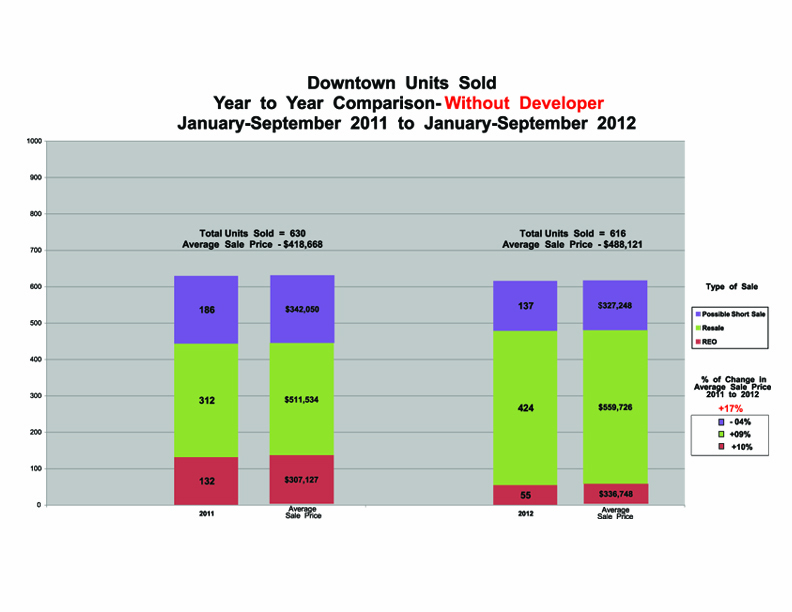 According to our 3rd quarter 2012 stats, sales prices continue to rise with greater than 50% of buyers paying cash! For the months of January –September 2011 and for the same time period 2012 we find that REO sales are down from 132 in 2011 to 55 in 2012, normal resale property sales are up from 312 in 2011 to 424 in 2012; short sales are down from 186 in to 2011 to 137 in 2012. These indicate that we are progressing in the right direction!